Funded by the Provincial and Federal Governments and Irving Oil, HSAL developed a series of action plans to anticipate and avoid challenges associated with rapid economic and workforce growth; harness and capitalize on growth throughout the Province; and direct benefits to all parts of the community including marginalized populations. To create value for your municipal strategic plan, it is critical to develop effective actions in a context of accountability. This is precisely the approach Hardy Stevenson and Associates Limited took when developing actions plans for the Benefits Blue Print: Energizing Sustainable Communities. The Benefits Blueprint was a community-led initiative to ensure Saint John, New Brunswick, and the wider region would have a plan in place to manage and maximize the benefits of a period of transformational growth in advance of unprecedented investment and a number of mega-projects proposed for the area. 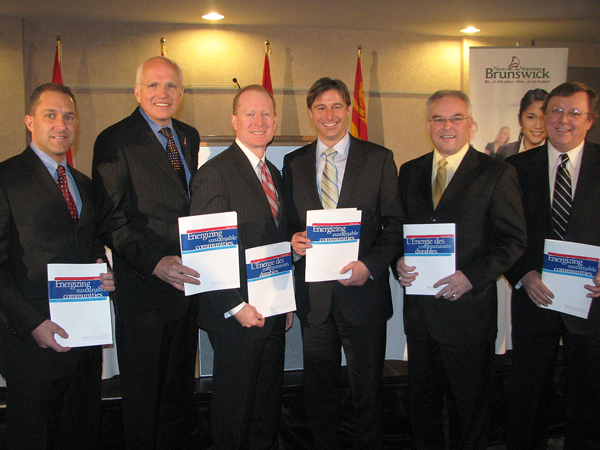 The Benefits Blueprint is a sustainable growth management plan for Saint John and New Brunswick. And, in 2010, Enterprise Saint John, the project proponent was awarded the Silver Medal in the non-profit category at the 2010 IPAC- Deloitte Public Sector Leadership Awards. The goal of the Benefits Blueprint was to put into place an action plan, a blueprint, to ensure growth occurred in a way that would benefit the most people across the province; that spin-off effects from new investment and infrastructure would permeate deeply into the community, including the most vulnerable and disadvantages citizens; and, to ensure that host communities would not be impacted negatively by anticipated economic growth. In our experience, strategic plans are not implemented well (or at all) because the recommendations do not include effective actions. Key to the Benefits Blueprint’s success was a set of business cases (action plans). HSAL prepared 16 meticulously researched action plans to support (implement) seven identified focus areas to ensure that opportunities to benefit from planned investment in New Brunswick would be available to as many New Brunswickers as possible. Using this model, many of the actions were well underway before the plan was completed. The action plans also addressed expected areas of stress to ensure that any impacts from growth were minimized and would not negatively affect existing resources that contribute quality of life. Each action plan identified the rational for the focus area, the supporting actions, the required funding, the necessary resources, as well as an ‘action champion’ who assumed ultimate responsibility for implementation. A Benefits Blueprint Project Management Office (PMO) was also developed to support, oversee, monitor and report-in annually on the progress of implementation. While action champions were held accountable for implementing their respective sixteen individual actions, the PMO was held accountable for the ultimate implementation of the Benefits Blueprint. Andrzej Schreyer , R.P.P. is a senior land use and environmental planner with Hardy Stevenson and Associates and a member of the Ontario Professional Planners Institute and the Canadian Institute of Planners. His experience includes developing and implementing public participation and communications plans, managing social impact assessments and land use studies in support of infrastructure projects and preparing community-based strategic plans. This entry was posted in Planning and tagged community, government, implementation, management, media, municipality, project management, socio-economic impact assessment, stakeholders, strategic plannning. Bookmark the permalink.